Light your way to the top with this eye-catching promotion! This 7 oz. 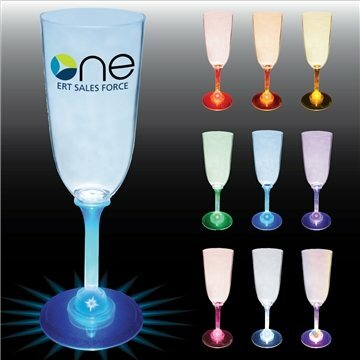 Champagne glass lights up with the push of a button. We were very pleased with the item and service we received. the print is large enough to see. I've ordered these for several years now, and they are always popular. Such a helpful product! Again the development quality was excellent. thank you to our salesperson Rose for being helpful in making sure our order was correct and on time! Printing is excellent. The printing, placement, and color of my logo were perfect.